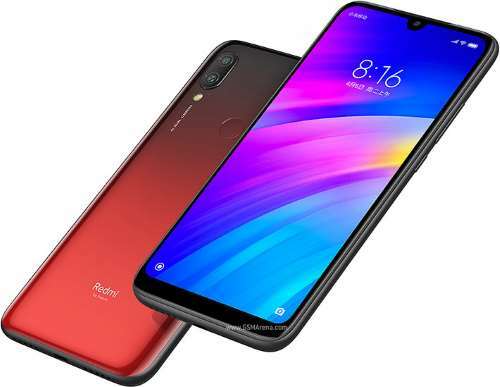 The Redmi 7 was unveiled by Xiaomi a few days ago for the global market. 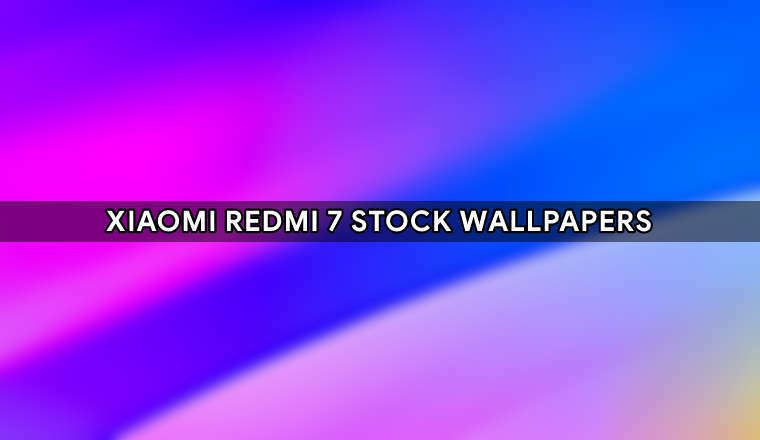 With that said, today, we have 1 Xiaomi Redmi 7 stock wallpapers in HD+ (720 x 1520 px) and FHD+ (1080 x 2280 px). But, before we check out the stock wallpapers of the Redmi 7, first, let’s get the specs out of the way. The Xiaomi Redmi 7 smartphone | Image source: GSMArena. 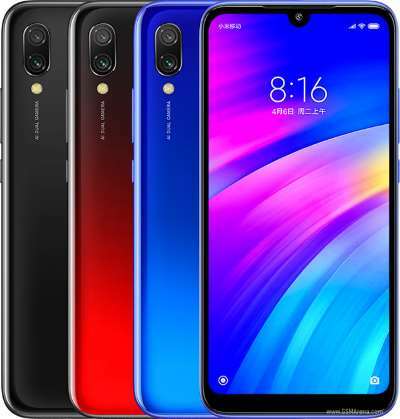 The Xiaomi Redmi 7 features a Gorilla Glass 5 protected 6.26 in tall 19:9 HD+ IPS LCD display with a resolution of 720 X 1520 pixels. The Redmi 7 is powered by a mid-level Qualcomm Snapdragon 632. The RAM configurations are 4GB of RAM on the 64GB and 3GB of RAM on the 32GB and 2GB of RAM on the 16GB variant. Quite naturally, there is a dedicated MicroSD card slot present in the device that can handle cards of size up to 512 GB. A fingerprint scanner is located at the rear of the Redmi 7 and Xiaomi’s flavor of a front camera-based face unlock is onboard the device. Photography is handled by a dual camera setup at the rear featuring a primary 12MP (f/2.2)+ 2MP (depth) sensors combo assisted by a single LED flash. An 8MP selfie shooter is up front for the selfieholics out there. The front and rear camera can record videos at a resolution of up to 1080p @ 30 fps. A non-removable 4000 mAh battery is onboard the Redmi 7 Smart to keep the lights on and the device is topped up via the obsolete and outdated Micro-USB port. Having said that, also the Redmi 7 does not feature fast battery charging, but charges at 10W, which is ok, to say the least. Coming to the connectivity side of the Redmi 7, it has you covered with Wi-Fi 802.11 b/g/n, Bluetooth 4.2 LE with A2DP, GPS for navigation and location-based services and more. Thankfully, the device is equipped with the good old 3.5mm headphone jack we all love. The Redmi launches with Android 9.0 Pie based MIUI 9 from day one. Red, Blue and Black | Image source: GSMArena. As for pricing, The 16 + 2GB and 64GB + 4GB variants of the Redmi 7 will set you back around $147 and $185 respectively in Ukraine. The Redmi 7 will be available in Black, Red, and Blue paint jobs. 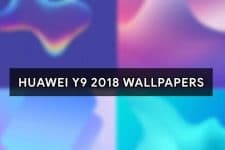 Alrighty, lest download the Xiaomi Redmi 7 stock wallpapers of the Xiaomi Redmi 7 smartphone. 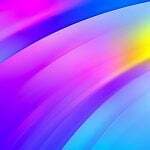 The wallpapers(s) look and feel vibrant, vivid and colorful. The aspect ratio and again the resolution of the wallpaper(s) are 19:9 and 720 x 1520 pixels respectively. Download the ZIP file via the Google Drive link given below or check out our gallery. We’ll add more wallpapers over time, stay tuned!